Want to learn how to shoot? Look no further than Wasting Arrows! All of our Staff are certified instructors and coaches and we love to help people learn more about archery. We have a tutorials, lessons, classes and high performance coaching. What ever your skill level or archery goal is we can help you get to the next level! execution. Price includes equipment rental if needed or you can use your own. Reservations are required, email info@wastingarrrows.com to schedule your lesson. Cost $45.00 or $30 per person for groups larger than 3 students. tion video, training aides and high performance coaching to get the most out of your shot. Want to win the next tournament, really learn how to shoot a back tension release, or bring down that trophy buck, here is how you do it. Reservations are required, email info@wastingarrrows.com to schedule your lesson. Cost $65.00 per hour. 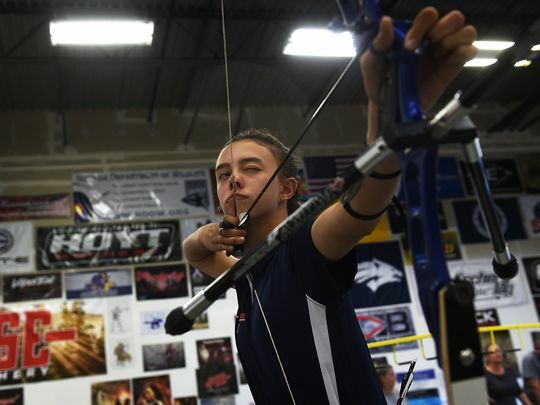 We offer weekly ongoing youth and adult classes through our USA Archery Sanctioned JOAD (Junior Olympic Archery Development) Program and Adult Archery Achievement Program. These classes build on an archer’s skills over time. To join these fun and rewarding classes you can sign up at the range, for more information on our JOAD Program click HERE. Wasting Arrows partners with NDOW to bring you great classes and workshops. These classes include Bow Hunter Education, Bow Tuning and Arrow Building Workshops, Intro to Archery Classes. These classes are often FREE! Be sure to check our Calendar and NDOW’s website for upcoming classes. Wasting Arrows has brought in several high profile coaches and atheletes to do seminars. We have been lucky enough to host seminars by Khatuna Lorig, 5 time Olympian and coach, Bernie Pellerite, NFAA Master Coach and George Ryals IV, Professional Archer and USA Archery Coach of the Year.